Spring is here, which means its time to start planning your warm weather hikes, day trips and summer vacations. So dust off your hiking shoes and head out to explore more of Oregon with these eight must-hit trails! 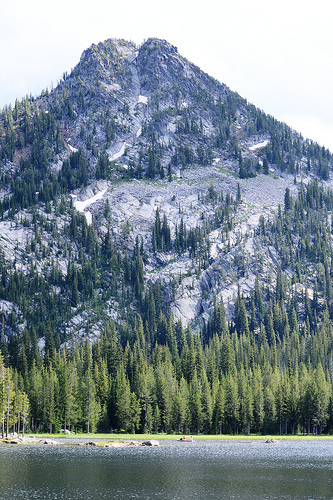 There are several different trails of varing difficulty at this iconic central Oregon park. Enjoy bird watching and hiking along the river and don’t forget to take the short .5 mile hike along the Rim Rock Trail to take in the beautiful views from the park’s main lookout. Note: Lane County Public Works will start construction on Sweet Creek Road in July 2012 that will cause significant delays. Construction is expected to continue through August 2013. So get out there this spring! What is your favorite Oregon hike? I’ve been TRYING to put together a trip to Silver Falls for weeks, but the weather hasn’t cooperated. Whale watch boat trip scheduled for the 7th (out of Depoe Bay)… might just combine the two. 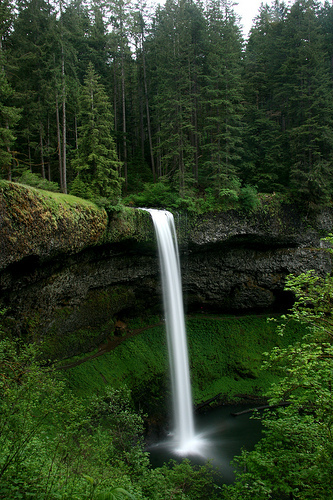 When we lived in Salem we went to Silver Falls quite abit and still havent covered all the trail, or seen ever fall. There is a lot there, it was nice to be able to get out to a place like that. 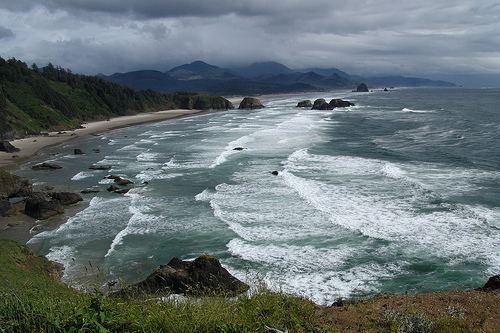 I’ve done the Tillamook Head hike and thought it was gorgeous- I want to go back and do all of these!